About 40 years ago, Pat Lipsky decided to put some of her early contributions away, unseen and undocumented. Works from the same period, 1960’s and early 70’s, had put her on the map as a great colorist. She was one of the few women of the second wave of Abstract expressionism to get as much recognition. The works attracted major museums attention and jumpstarted her career. It is easy to see why. This spring, 11 of her yet unseen early lyrical abstractions are making their debut on the New York art scene. The unprimed canvases covered with radiant colors bring light to the gallery’s blue walls. 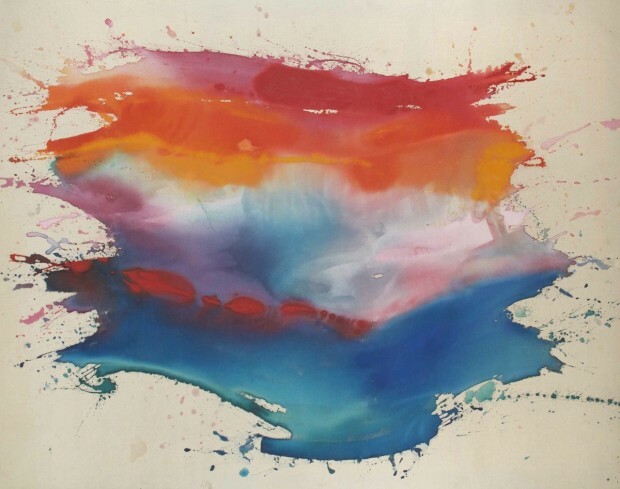 After all these years, the multicolored waves are as fresh as on the first day The painter’s energetic, physical gestures create spontaneous and lively marks. Paint moves across the canvas with velocity, splashing around joyfully.